Round up the crew and head to The Duke for New Year’s Eve. We’ve got free entry all night- you can’t go wrong with that. 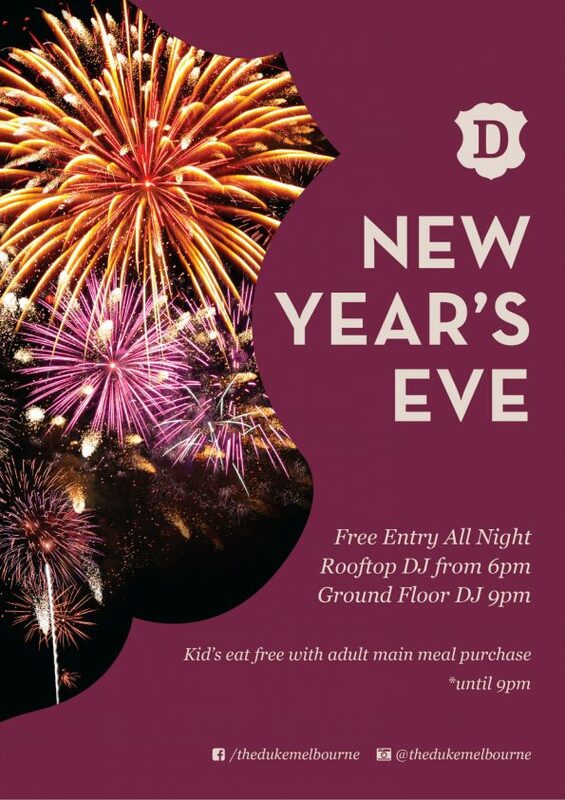 Party the year away with a DJ from 6PM and watch the spectacular CBD fireworks when the clock strikes midnight. Kids eat free with any adult main meal purchase until 9PM.